A few weekends ago we took the children to Santa’s Grotto at Intu Lakeside. I think visiting santa in the run up to christmas is so much fun and so worth it for the children. 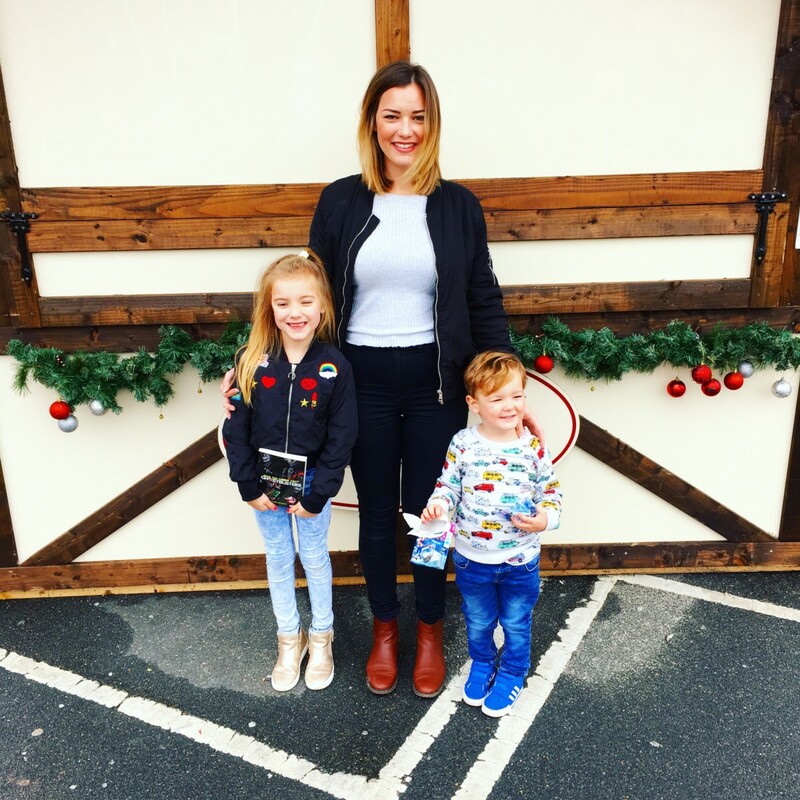 Sophia and Archie absolutely loved visiting santa and look forward to it every year. On arrival we were greeted by the friendly elves and taken through the grotto where we finally met santa. On the way the children answered some questions and sent off their wish for christmas which was lovely. I am sure they must remember it from last year when we visited as it was the same. We then went in to meet santa and the children spoke to him, and the elf then gave them a present each. They were both so pleased with what they were given. It looked lovely outside the grotto too with a skating rink and lots of fun rides and food stalls. As we went early morning it wasn’t open. So if you do go I would say that the late afternoon or evening is better so you can see all the lights and get in the festive spirit. We then spent the afternoon at Lakeside shopping centre and brought a few bits. Archie needed a new coat and I was on the search for some new winter boots. We came home with a lovely photo of the children with santa, we have the one from last year too. It is crazy to see how quickly they have both grown up in a year. We just did the Santa visit yesterday. It’s so magical for the kids. I still remember visiting Santa when I was little. Sounds like a great way of getting into the festive spirit! We’re not bothering with seeing Santa this year as I think it would just freak my toddler out. Would love to do something like this when she’s a bit older though. This looks like a perfect day out! We’ve only seen a little school fete FC so far but this one might be work taking a trip for! Hannah | MakeDo&Push recently posted…Motherhood // Third baby, or no third baby?